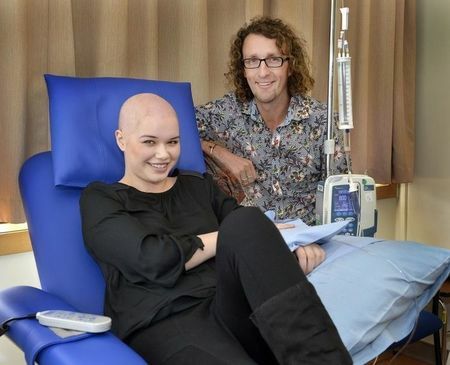 Auckland City Hospital purchased 30 new chemotherapy chairs with funds from Dry July 2012. Before these new chairs patients sat in furniture that resembled 1980s recliners, or in hospital beds. The new chemotherapy chairs have the ability to lay flat so patients, if need be, can lie down to help with comfort. The hospital has also purchased 25 visitor chairs for their cancer wards to ensure family and friends can be suitably accomodated, while patients recieve chemotherapy treatment for up to six hours at a time. The Auckland City Hospital is using funds from Dry July 2012 to revamp the Northern Regional Cancer and Blood Service building atrium. This will make the entry way to the centre more inviting for cancer patients and their families, as well as become a space for patients to get away from the hospital environment and feel as though they’re outdoors. The atrium will be filled with the natural colours and aromas of indigenous plants and flowers, a perfect place for healing and reflection.